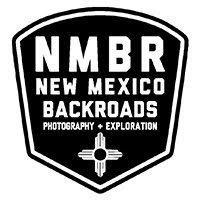 During the Spring of 2015, New Mexico Backroads [NMBR] began a yearlong review of the new BFGoodrich All-Terrain T/A KO2 tire. 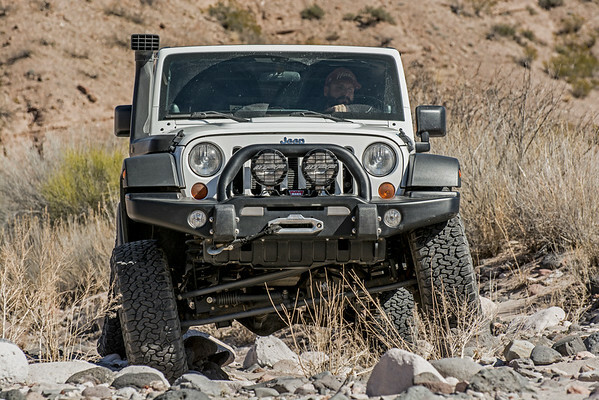 “Is it time to come back to an all-terrain tire?”—this question would serve as the running theme for New Mexico Backroads’ review of the BFGoodrich KO2 (size: 37x12.50R17). 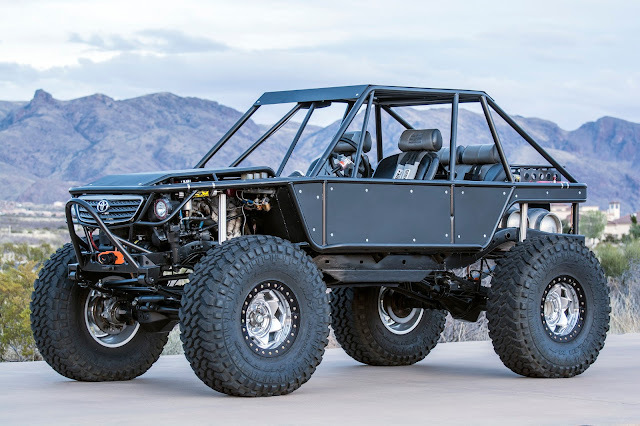 Would an overlanding based professional guide or 4WD/overland enthusiast be willing to give up their big block mud-terrains for BFGoodrich’s next generation All-Terrain T/A? Over the past twelve months, NMBR has conducted (and completed) the most in-depth review of the KO2 available in order to determine if the tire’s durability, traction and performance are up to task for the toughest terrain and conditions the Southwest has to offer. 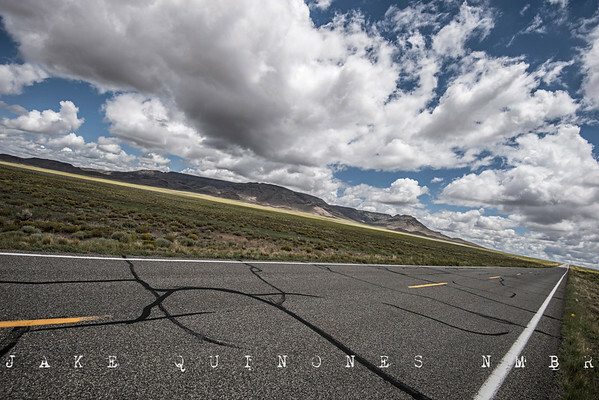 New Mexico Backroads’ final KO2 report builds on the two previous NMBR KO2 reports (2,000-mile and 15,000-mile) and provides a final verdict on the tire. 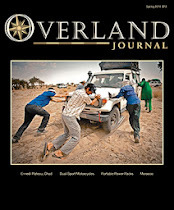 May 2015 - NMBR’s BFGoodrich KO2 2,000 Mile Report LINK October 2015 - NMBR’s BFGoodrich KO2 15,000 Mile Report LINK BFGoodrich All-Terrain T/A KO2 Tire Review Background: Until last year, New Mexico Backroads’ tire of choice has been the BFGoodrich KM2 Mud-Terrain for both the NMBR 4Runner and NMBR Rubicon (as pictured above). The KM2 provided excellent harsh terrain traction and durability without yielding a single failure through countless miles of hard use. The KM2 tires weren’t the most fuel efficient or pavement friendly of tires, but they were dependable. Needless to say, the KO2 All-Terrains had some big shoes to fill when they replaced a perfectly good set of KM2 Mud-Terrains. NMBR’s early expectations for the KO2 was that they would be a better all-around on and off pavement tire, but would likely fall short of the KM2 under the most challenging surface conditions. BFGoodrich All-Terrain T/A KO2 Sidewall Durability & Performance: Since BFGoodrich touts the new KO2 sidewalls to be 20% tougher than its All-Terrain T/A KO predecessor, New Mexico Backroads decided to subject the KO2 sidewalls to numerous trail hazards, ranging from sharp rocks to splintered branches; seeking out scenarios that would prove or disprove the claim. 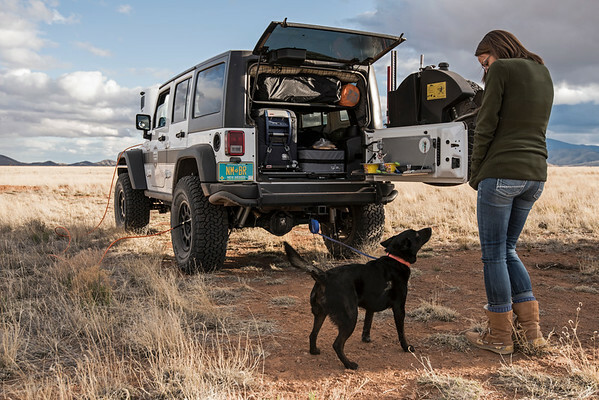 Because sidewall damage is a major issue for 4WD and overland enthusiasts navigating the roughest territory, NMBR placed a high priority on providing detailed feedback on the KO2’s sidewall strength. 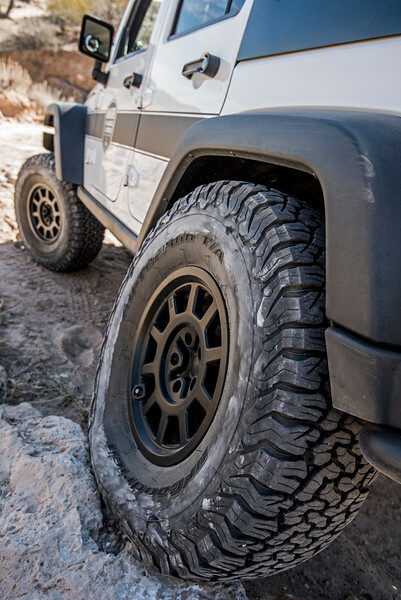 While many all-terrain and mud-terrain tires feature aggressive (and attractive) tread patterns, the sidewall construction and design is often overlooked or lacking. 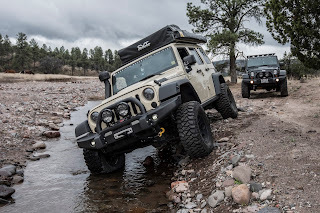 The primary sidewall testing grounds for the KO2 have been the unforgiving trails and primitive backroads of the New Mexico Gila where the majority of NMBR’s field work and guiding are conducted. These remote routes follow two tracks along boulder strewn riverbeds and through dense forest littered with splintered timbers. After countless run-ins, the KO2 sidewalls have not failed; no punctures, cuts, bruises, or damage can be reported. Despite the abuse, the KO2’s sidewall lugs and sipes remain intact and retain crisp edges, only with the occasional nick or scratch. The anatomy of the KO2’s sidewalls feature a serrated shoulder tread pattern, siping and an aggressive side lug design that provides ample bite in technical situations where steering precision and control is critical such as rock crawling or v-notch/side-slope negotiation. The KO2’s sidewall material has been improved over the previous KO tire with BFGoodrich’s new Coregard Technology which provides a more robust rubber composition to resists trail damage. Additionally, the side lugs of the KO2 extend farther towards the center of the tire and feature a design meant to push aside contacting hazards such as branches. 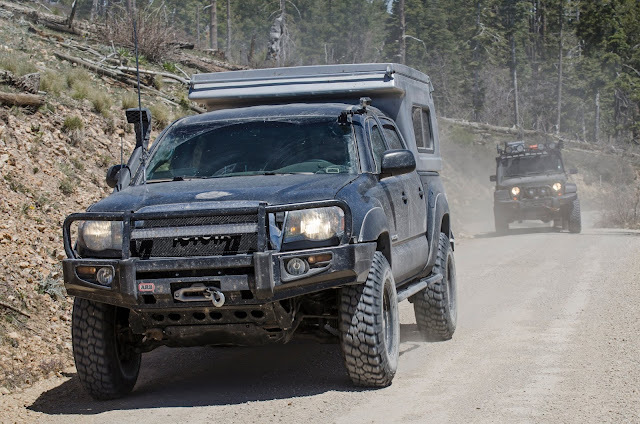 Over smooth hard packed dirt road, where higher speeds are safely obtainable, the KO2 was predictable and stable on curves, cattle guards and dips due to the firm sidewalls. 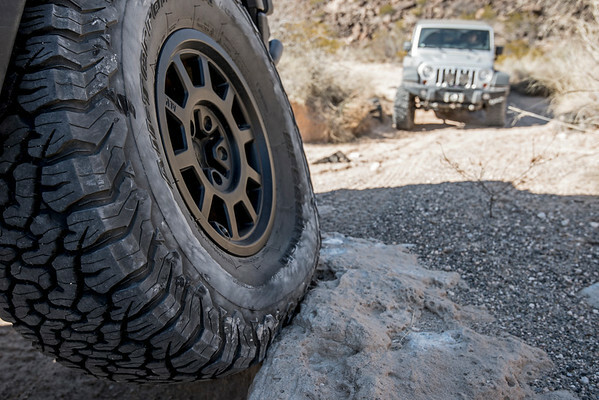 BFGoodrich All-Terrain T/A KO2 Traction: The BFGoodrich KO2 has proven itself worthy in nearly every surface condition available in the Southwest. In the mud, the tire tread voids clear quickly and provide excellent forward traction; the tires are less prone to spinning and sinking than most tires with “mud” in their namesake. The tight and interlocking tread block pattern of the KO2 provides a stable contact patch over mud which translates to better weight distribution and flotation. The overall tread impression left by the KO2 in mud is shallower and less pronounced than that of deep lugged mud-terrains. In the snow [hard pack, powder and slush], the KO2 was predictable and provided sufficient forward movement. 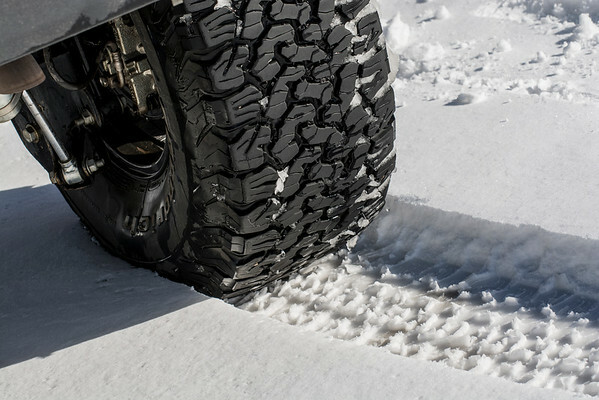 The KO2’s strong mud performance characteristics cross over well in snow regarding weight distribution, tread pattern, and a shallower track depth. Although the KO2 is not a dedicated snow tire, it is marked with the Three Peak Mountain Snowflake logo as it is suitable for winter use. Over ice, the KO2 didn’t washout or spin when transitioning to ice from higher traction surfaces, such as dirt or snow. The KO2 boosted confidence on ice covered shelf roads featuring steep inclines and tight switchbacks where a misstep could prove disastrous. On the rocks, the KO2 provides excellent traction on southern New Mexico’s notorious dry waterfall climbs and dry rapid sections. 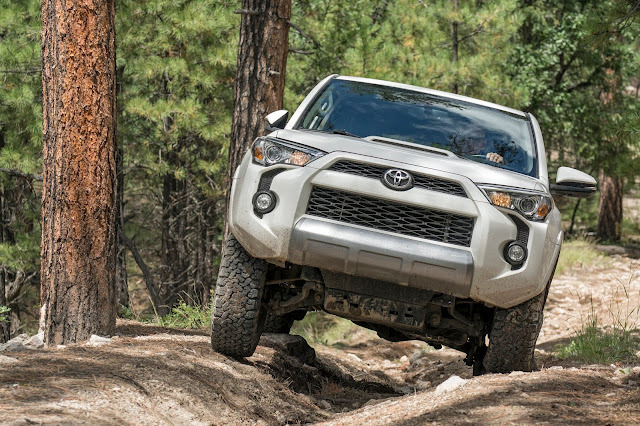 The traction provided by the KO2 on steep climbs and off-camber situations, where surface conditions are dismal, rivals that of the knobbiest mud-terrain tires. The KO2’s interlocking tread block pattern features extensive siping that provides enhanced traction and control. Between the treads are small pyramid shaped risers that promote the ejection of stones and debris to optimize traction by keeping the tread gaps open and prevent drilling (or embedded stone caused tire damage). Bottom line—the BFGoodrich KO2 has equal or better overall traction characteristics as the BFGoodrich KM2. 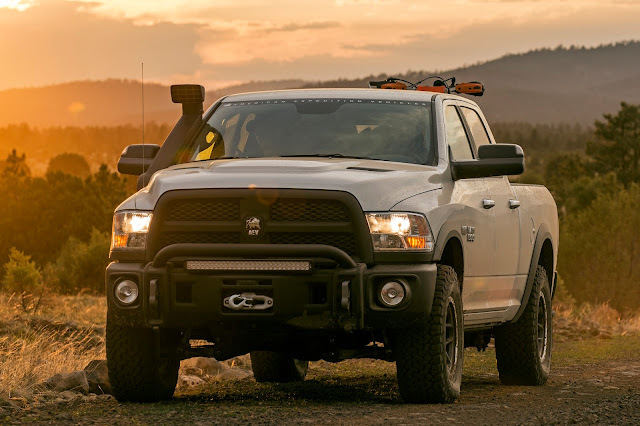 BFGoodrich All-Terrain T/A KO2 Fuel Economy: Because NMBR’s field work and guiding often entails stretches of a few hundred rigorous off-pavement miles between gas pumps, fuel conservation is critical. 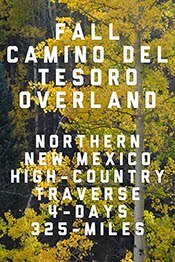 With the previously mounted BFGoodrich KM2 tires, I’d arrive in Reserve, New Mexico on fumes, after three days and two hundred twenty-five miles traveling along NMBR’s Gila Legends Expedition route. With the BFGoodrich KO2 tires, I’m now arriving to Reserve with a bit less than a quarter tank of gas left. The KO2’s increased fuel economy over KM2 could be attributed to better overall traction (requiring less mileage in 4WD) and lower rolling resistance (due to the tighter tread pattern). Regarding tire pressure, the NMBR Rubicon’s KO2 are set between 12PSI and 16PSI for off-pavement mileage depending on terrain. 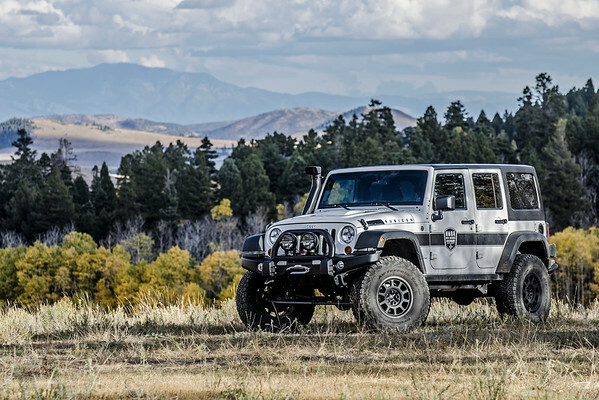 BFGoodrich All-Terrain T/A KO2 Performance on Pavement: While the NMBR Rubicon is best suited for dirt travels, the KO2 tires have provided good overall performance and enjoyable driving experience on New Mexico’s winding mountain byways. Steering feedback and all speeds remains predictable and stable. When paired with American Expedition Vehicles DualSport Suspension, the KO2’s cornering performance is exceptional for a 37-inch tall all-terrain tire. Regarding tire pressure, the NMBR Rubicon’s KO2 are set at 28PSI for pavement mileage. This puts all but a quarter inch of the tread in contact with the pavement while providing a comfortable ride. Road related noise from the KO2 is minimal and has only increased slightly with over 25,000 miles of hard use. BFGoodrich All-Terrain T/A KO2 Tire Wear Characteristics: BFGoodrich has heavily modified the tread rubber compound of the KO2 to provide a 100% longer on dirt tread life expectancy than the previous generation All-Terrain T/A—a figure derived from extensive Baja development and third party testing. Given the hard life the NMBR Rubicon’s BFGoodrich KO2 tires have lived over the past year, the treads still remain in good condition. The tread depth of the KO2 tires brand new was 15/32 of an inch. A year and 25,000 miles later the tread depth measures 11/32 of an inch—an impressive figure. It’s worth mentioning that the spare is still unused and will not be included in the NMBR Rubicon’s regular 3,500-mile tire rotation and balance schedule. 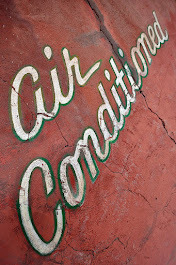 Balancing remains undramatic; no tire cause wandering, negative feedback or vibrations can be reported. As far as trail related wear, only a half dozen nicks the size of a fingernail are present in the tread blocks—no chunking, splitting or cutting is evident. The tread block edges are crisp and undamaged. The siping within the tread blocks display minimal rounding—evidence the sipes are hard at work providing maximum traction. 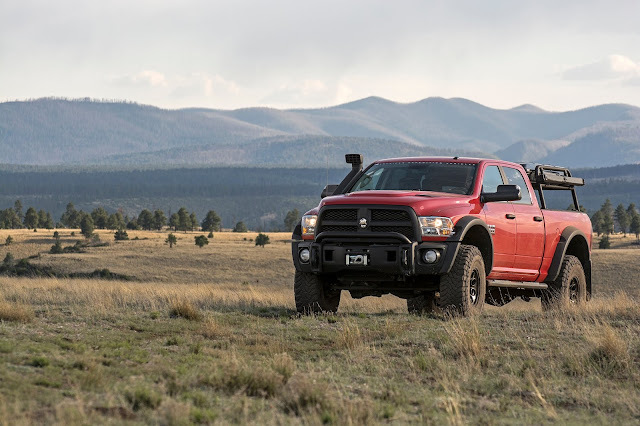 Bottom line—tire wear is the best I’ve seen of any all-terrain or mud-terrain tire used primarily for off-pavement driving. 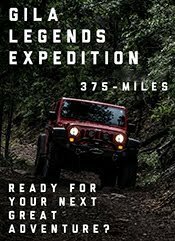 At the 15,000 mile report, it was stated that the NMBR Rubicon’s KO2 tires were not even halfway through their service life; at 25,000, they still are not. 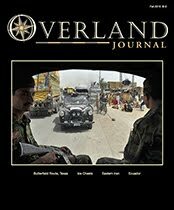 BFGoodrich All-Terrain T/A KO2 Review Conclusion: After twelve months and over 25,000 miles of nearly every weather, road and driving condition imaginable, the verdict is in. 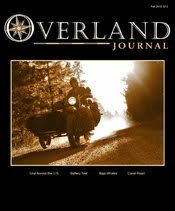 The underlying question of New Mexico Backroad’s BFGoodrich KO2 review was simple “Is it time to come back to an all-terrain tire?”. 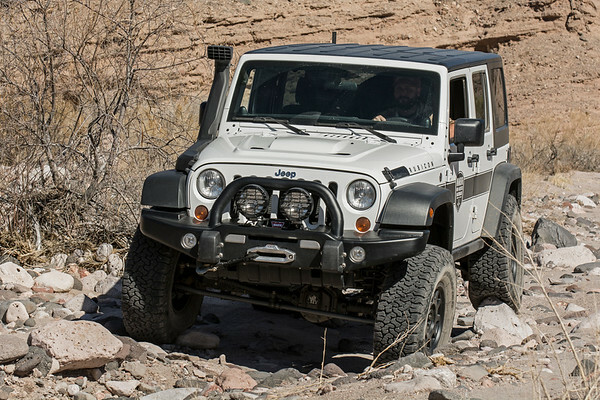 The answer to the question is simple—if the all-terrain is the BFGoodrich KO2, then, absolutely yes. No other tire provides the combined durability, traction and performance characteristics of the KO2 in a wide variety of surface conditions. Aside from providing exceptional traction, the improved fuel economy over the BFGoodrich KM2 while running the KO2 has been one of the most enjoyed benefits. 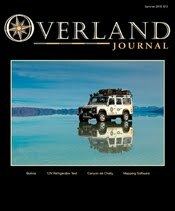 As the tires have exceeded expectations and retain over half their tread left, the NMBR Rubicon will continue to run the KO2 tires into 2017 expedition and overland guide season.